Douglas County Citizens Committee on Alcoholism (DCCCA) was established in 1974. It provides outpatient, inpatient, and residential treatment services to men, women, and adolescents against alcohol and drug addiction and mental health disorders. The mission at DCCCA is to improve lives of people through addiction education and high-quality treatment services, to value the people by treating them with respect and dignity, to find innovative ways to grow and learn and to deliver high-quality services to clients through accountability and excellence. The treatment programs at DCCCA comprise of outpatient and residential treatment for children, adolescents, and adults. The women’s programs have fully licensed child care facilities so they can stay with their mothers during the course of treatment. This allows women to go through the treatment process without the stress of their children not being with them. Children are also provided with academic education while their mothers seek treatment at the facility. The treatment programs utilize various therapies including family therapy if the clients and family members agree on it. The aftercare program helps clients in finding employment, safe housing, or the opportunity of continuing their education in an effort to help them become self-sustainable after leaving the facility. DCCCA’s residential facility for women called the First Step at Lake View is located in Lawrence, Kansas. It is built on a large campus that offers scenic views which surround the main building. The facility also consists of a lake with dock. The main building houses the living space where women stay with their children who are under the age of 10. The campus can accommodate 45 women at one time. Women without children share rooms whereas the ones with children are given private rooms where they live with their children. The rooms are adequately furnished with beds, desk space, and storage areas. There is a living room furnished with comfortable sofas and chairs. The living room is equipped with a TV and a computer. Women can relax and socialize in the living room in break time. There is a playground for kids where they can play under supervision when their mothers are undergoing therapies. The vast grounds of the campus provide various opportunities for therapeutic outdoor activities such as yoga, meditation, or walks. Meals are prepared three times a day by the in-house chef and kitchen staff. Meals are served in the cafeteria that has a dining area where residents eat with their children. DCCCA center offers individualized treatment plans to adults and adolescents for alcoholism, substance abuse, and co-occurring disorders. The cost of the treatment depends on the treatment modalities and therapies involved in the personalized plans but the cost can be anywhere around $7,500 and above for 30 days duration. DCCCA accepts insurance plans of many companies including Medicaid. The DCCCA staff verifies insurance benefits of clients to maximize the reimbursement. 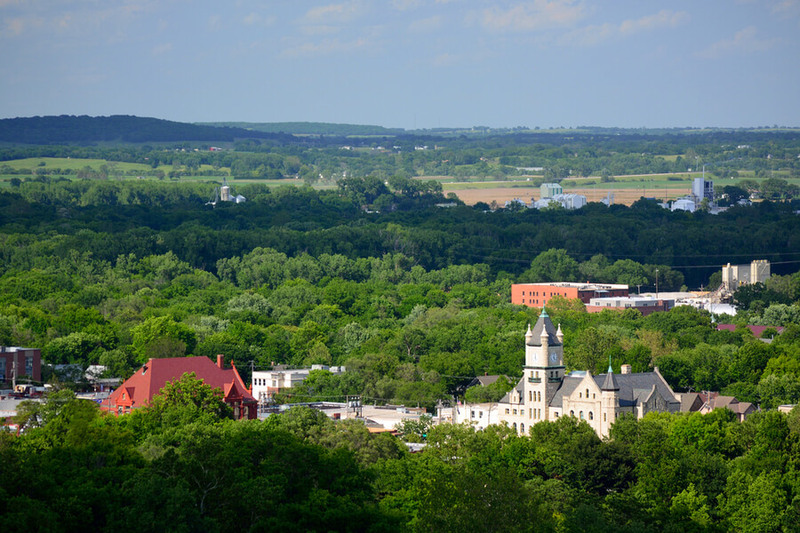 For indigent people who do not have insurance and cannot pay out-of-pocket, there is the option of state funds that cover the treatment costs for residents of Kansas. DCCCA has been providing treatment services to adolescents and adult men and women for more than 30 years now. Through the comprehensive continuum of care primarily based on the 12 steps of AA, the center is able to empower patients and help them realize their potential in an addiction-free life. Holistic treatment approaches are utilized through which patients’ minds, bodies, and spirits are healed. Women patients are able to start their healing journey without having to live without their children. This enables them to solely focus on their treatment and achieve lasting sobriety. The children are offered high-quality childcare services as well as academic education so that they can join regular school when their mothers leave the facility. Clients are also offered aftercare support to help them get jobs and re-adjust into society after their treatment at DCCCA commences. DCCCA Recovery Center offers high-quality treatment services to adults and adolescents for alcohol addiction, chemical dependency issues, and co-occurring disorders. DCCCA has been able to provide hope and healing to thousands of individuals and their families since its foundation. The success of treatment is mainly because of the dedicated and compassionate efforts of the staff at DCCCA. The staff members are experts and highly experienced in the work they do. They provide 24/7 services to clients to help them in their road to recovery. Keeping in line with the values of the organization, the staff treats each client with respect, honor, and dignity. They provide an atmosphere where clients are able to start their healing journey effortlessly. Through the comprehensive continuum of care, the staff members are able to empower patients to live a drug-free life and prevent relapse. The staff comprises Masters-level therapists, addiction and peer counselors, caseworkers, and auxiliary client care workers. Other members of the staff include administrative personnel, admissions office personnel, insurance specialists, and other support staff. Together, they are able to bring about a positive change in the lives of clients and families.